This is located on the upper floor and has seating for 245. It is reached from the foyer via a staircase or lift. It is decorated and furnished in a contemporary style and is carpeted, has new chairs, a modern amplification system with radio-microphones and a computer controlled projection system. A new (2006) Phoenix organ and a grand piano are the main musical instruments. We have several organists who play on rotation (at the Ten Thirty and some Evening Services) and a group of musicians (including a drummer) who play modern music for worship at On-Line and Second Sunday. 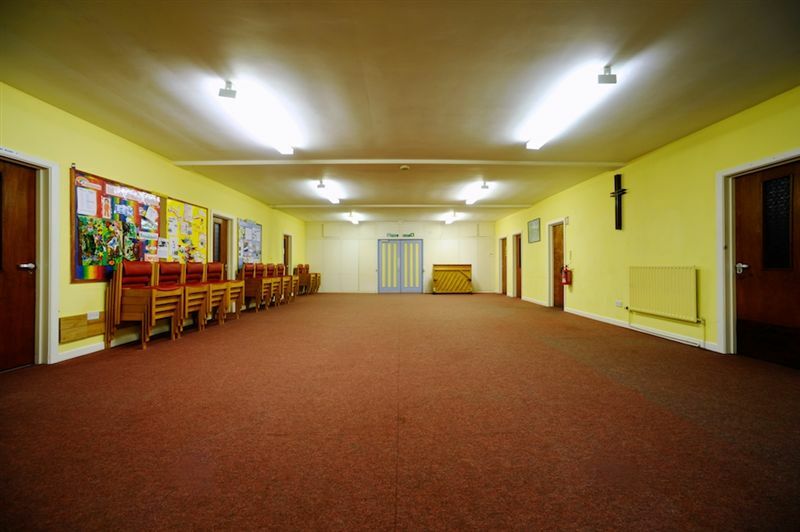 This is a substantial room beneath the sanctuary used for meetings and children’s activities. The Vestry, Church Office, Lay Workers’ room, kitchen, Fellowship Room, and a toilet with baby-changing facilities are all off the Lower Hall. Used daily as the Christchurch Cafe (weekdays 10:00am to 4:00pm, Saturday 10:00am to 2:30pm). In the evening, it is used for meetings. This is adjacent to, and linked by stairs and lift to, the main church building. The major part of this area has been converted to offer a new project, Dan's Den. 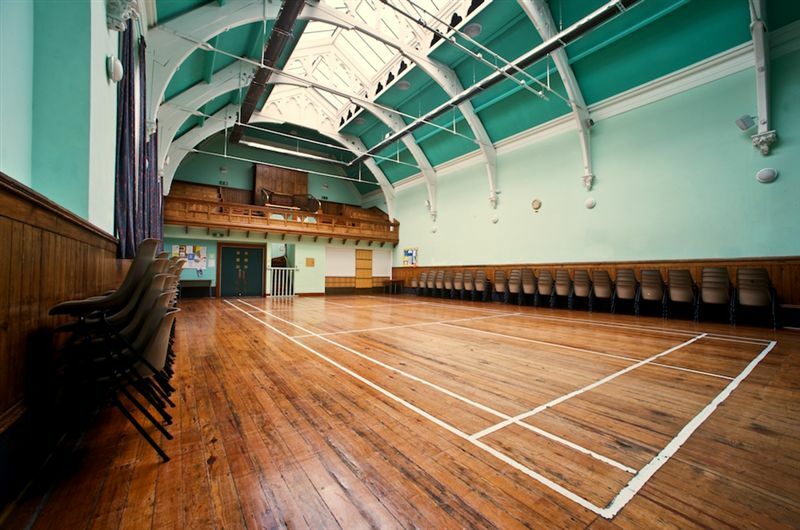 There are still smaller rooms upstairs (Middleton Room and Dales Room) in this complex, served by another set of toilets, available for church or community use. 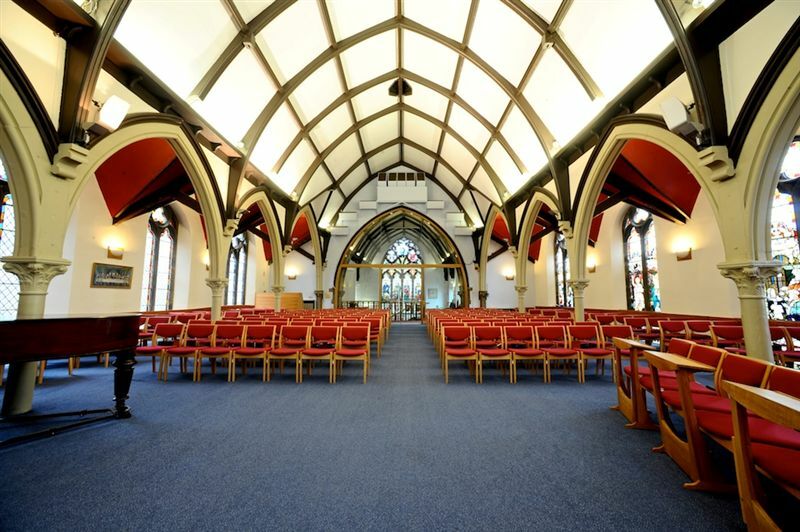 The church Library is housed in the Corner Room and is used as a resource by local preachers and others – current issues of Roots magazine are available along with commentaries and other texts. Two small office suites, accessed from Riddings Road, are leased to tenants. Between the two buildings is a small area used as an alternative entrance on occasions, and a peaceful place to spend some time.